In 1644, Parliament had ordered the speedy demolition of all images and superstitious monuments in all churches together with “…things illegal in the worship of God…” that is contravening the second commandment not to make any graven image. 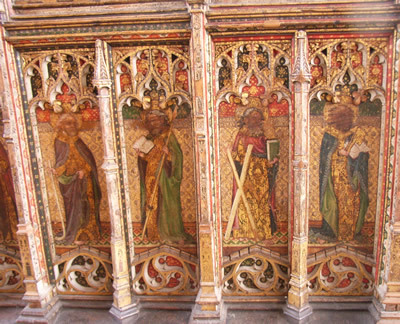 William Dowsing’s instructions to supervise this took him to 98 churches in Cambridgeshire and 42 in Suffolk. 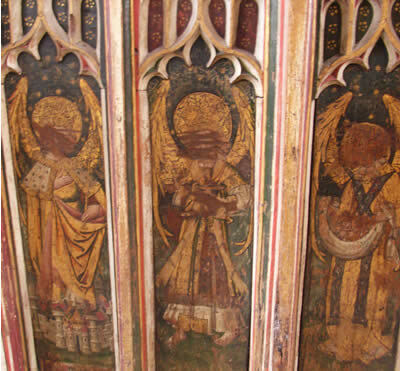 Visiting Southwold church today, we can see 36 defaced Rood Screen panels, 12 Angels across the North side, 12 Apostles across the Nave and 12 prophets across the South Aisle. 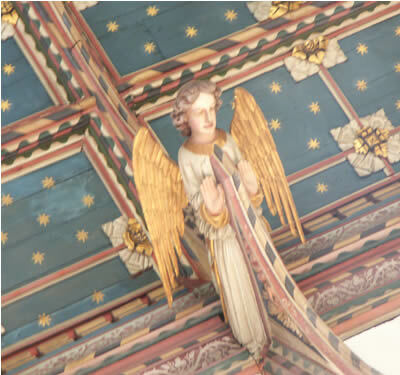 The 20 angels which were taken down from the roof have been replaced by good modern carvings. The roof boss angels have been replaced.